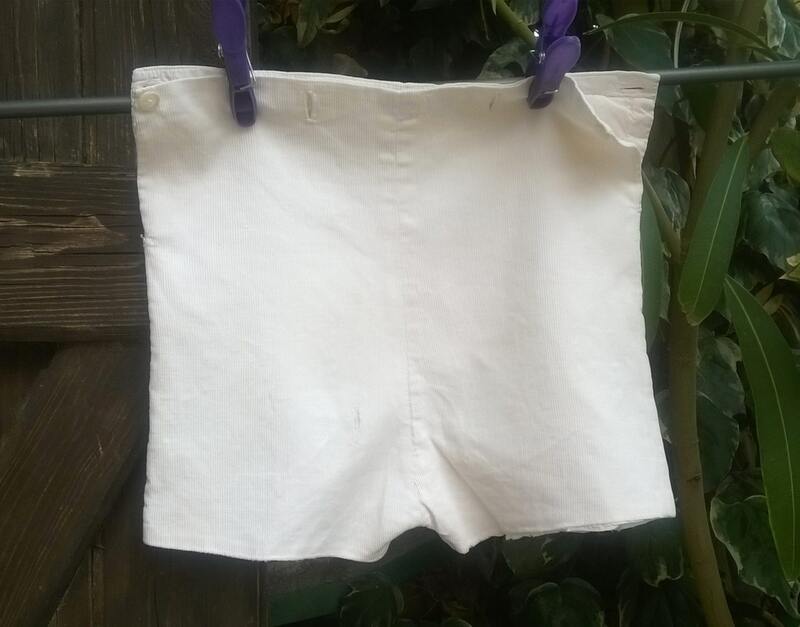 Art Deco French handmade shorts lined. 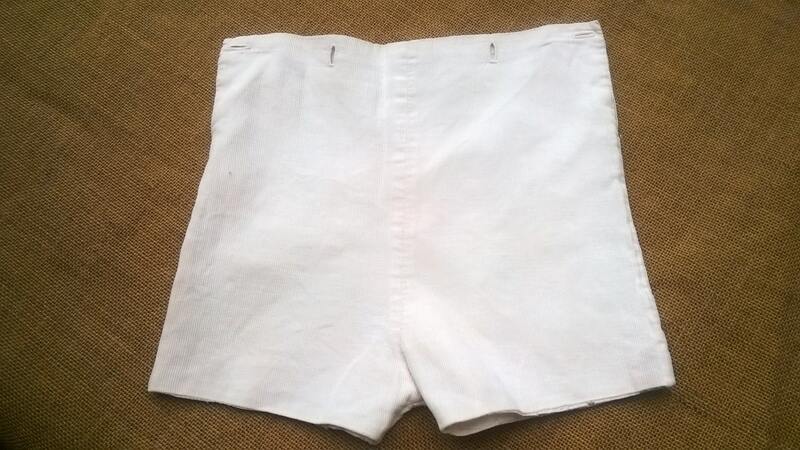 Lovely Art Deco high waist ribbed cotton shorts. 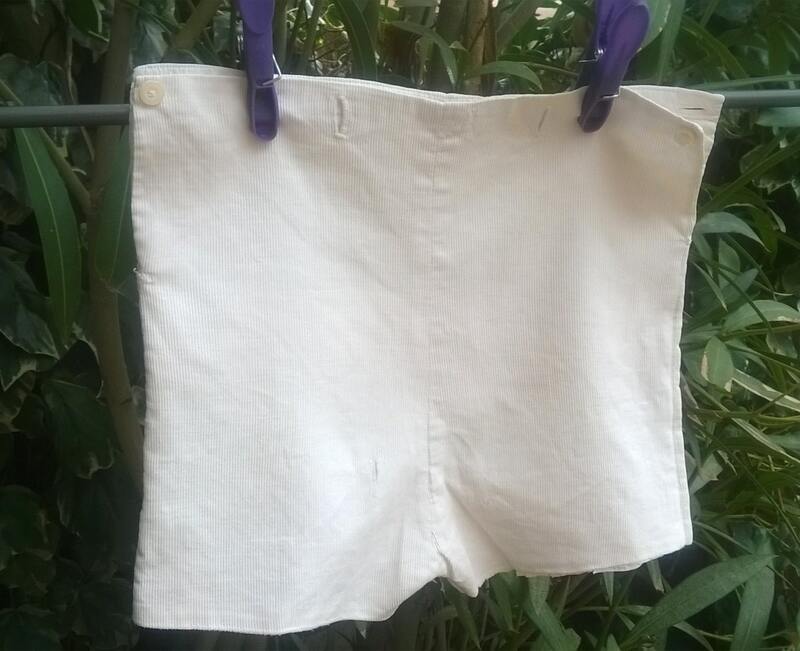 Made and lined with white cotton . 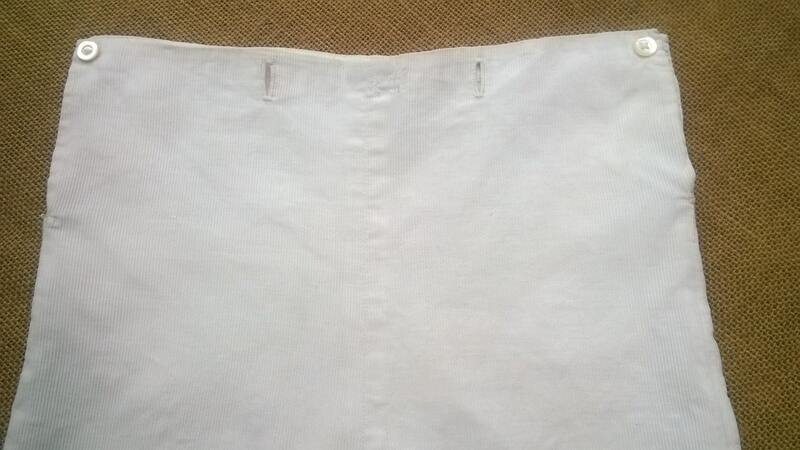 Mother of pearl side buttons closure. 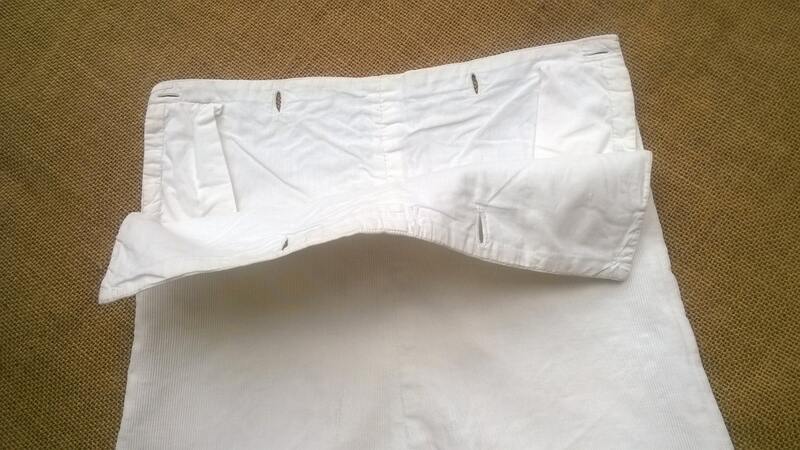 Vintage condition rather good with 2 holes. Lovely boy to keep as collectible or for costumes clothing.